Girl meets boy at a car wash. "Dog," she says. "Dude," he says. And probably this would have been a sweet teen romance.... If Beals hadn't been sitting next to her in the car. If Beals hadn't been a supernatural repo man looking to repossess her car. And to possess her. Repossession is 9/10ths of the law: Meet the other 10th. 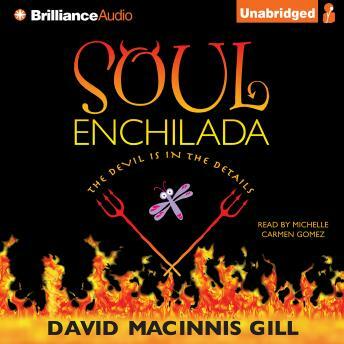 David Macinnis Gill delivers the whole enchilada. With a side of soul. I didn't feel like this story should have been read by this narrator. I have heard other stories narrated by her and enjoyed them. It just didn't feel like the character. The story itself seemed weak.